Six levels are in the books for the first flight of Event 1 in @WSOP Circuit @Thunder_Valley's January 2018 series and the board shows 188 players at #TVWSOPCircuit. 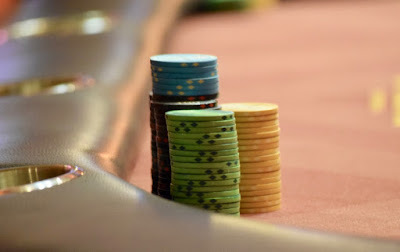 There's two more full 30-minute levels and a 15-minute break left for players to buy-in for $365 in to this $300,000 Guaranteed, 5-starting-flight tournament. Ryan Leonis becomes the newest of the Late Arrivals to join the field just as Level 7 begins, adding one more entry to the number posted in the headline.